A host of new features you may never have heard of — and certainly didn’t expect to see in mainstream cars and trucks — will be commonplace by the end of 2012. New technologies and safety and fuel-economy concerns have accelerated automakers’ innovation. Also called auto stop, this shuts the engine off at traffic lights and stop signs and imperceptibly restarts it when you’re ready to go. “Imperceptible” is the key word. Auto stop can reduce fuel consumption significantly, but people won’t tolerate it if they notice the engine cycling on and off, or if the vehicle doesn’t start moving when they expect it to. 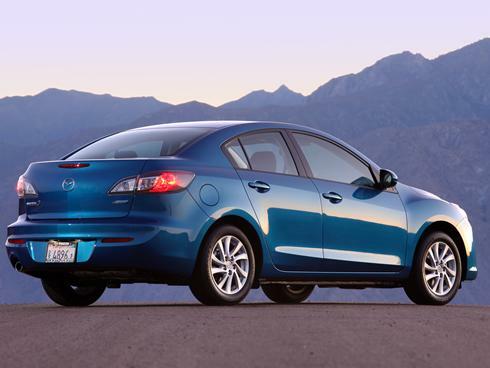 The Mazda 3 already offers the system, which will show up on many more models in 2012. Front-seat knee air bags are one of the next big things. Cars ranging from the subcompact Chevrolet Sonic to the compact Buick Verano and midsize Toyota Camry added them in 2011, with more to come next year. Ten is the magic number for air bags in new cars, as thorax-protecting bags for the front and rear seats become common. Next up: inflatable shoulder belts a la the Ford Explorer and a center-mounted bag from General Motors that keeps front-seat occupants from knocking heads. Some automakers are even considering air bags to keep back-seat passengers from hitting the front seats. The days when automakers believed safety systems don’t help sell cars are gone. Your smartphone will make your next car better, thanks to new systems that will use it for navigation, to stream your favorite news, music and more. Now that Transportation Secretary and driver-distraction hardliner Ray LaHood has come out in favor of hands-free systems rather than a pointless and unenforceable prohibition of phones, automakers are free to continue to innovate. Buick, Cadillac, Chevrolet, Hyundai and Toyota all have slick new systems to make the phone an integral part of your car. Despite widespread complaints from customers and critics, Ford remains committed to the controversial MyFordTouch control layout. In its simplest form in the Focus, the system works fine. More elaborate versions used in the Explorer SUV eliminate the dials that control audio volume, radio station, temperature and fan speed. Ford says it fixed usability problems with better voice recognition, but skeptics say dials are simply the best way to do some things. We’ll find out who’s right when Ford uses the system in some high-profile new models in 2012. This is a golden age of engine development. Small engines with new technologies have power and fuel efficiency that were inconceivable a few years ago. GM’s 2-liter four-cylinder turbocharged, direct-injection engine produces a whopping 270 horsepower and 295 pound-feet of torque. It would wipe the floor with a lot of old V-8s and rates 32 mpg on the highway in the Buick Regal GS, the year’s most surprising sport sedan. Ford created the catchy EcoBoost name for its turbo/DI engines and uses it on everything from the compact Focus to the big Explorer crossover SUV and F-150 pickup. The Fiat-designed 1.4-liter four-cylinder engine Chrysler builds in Dundee, Mich., will graduate from the slow-selling Fiat 500 to the sportiest version of the new Dodge Dart compact sedan. You’ll see lots more small engines with big performance numbers in 2012.